Candy left VCB in 2002 and studied for a Bachelor of Science in Computing and Information Technology at QUB. She worked for HSBC Technology (System Testing, Developer in Credit Risk), Citi Group (Support and Developer in Credit Risk) and is currently working in NYSE Euronext in Belfast as a Production Engineer. Johneen left in 2003. Johneen is a Technical Quotations Engineer for Qualitrol based in Boucher Road, Belfast. Her degree is B Eng Hons in Energy and Building Services Engineering. 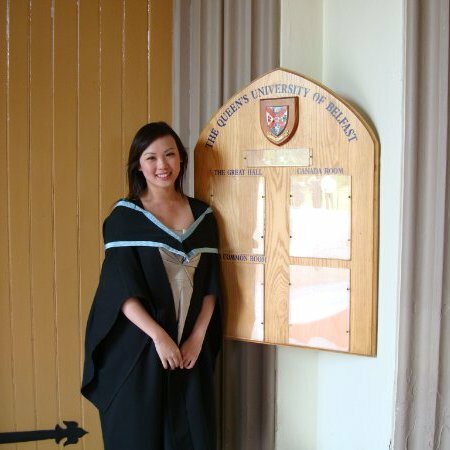 Lois left in 2007 and went on to study Language and Linguistics at Ulster University. She graduated with a 2:1 and went straight to Oxford to study to be a Primary school teacher. She graduated in 2011 and moved to London to teach in a preparatory school. Lois is currently applying for a Masters in Education. Andrea left VCB in 2001. She is now living and working in Fortaleza, Brazil and has recently completed her professional doctorate in education. She works as an independent critical global educator, involved with a non-profit organisation called IPOM, which stands for Instituto Povo do Mar. IPOM is an organisation inspired by surfing to bring informal educational opportunities to children and young people. Fluent in Portuguese, Andrea works with children aged from 6-16 years old who live in a violent and marginalized favela community in a city of over 3 million people. Andrea teaches English and IPOM also offers classes in Maracatu drumming, Art and computers as well as providing psychological support for students. In this context Andrea also works to educate university students from Europe and North American who come with an interest in development education. She works to develop critical awareness of ethical responsibility between cultures and also teaches research methods and ethics to undergraduates. Victoria left VCB in 2002, studied medicine at Imperial College London and graduated in 2008. She qualified in 2013 as a GP. She married in 2009 and had her first baby in January 2014. She still plays violin and piano. Since then she has been playing in a progressive rock/ambient band. She still does art, but lately it is more down the knitting line than the painting and drawing line. She lives in Kent. Catherine Marsden left VCB in 1996 and went on to study Architecture at the University of Dundee obtaining BSc in Architecture in 1999. She returned to Belfast to complete her 'year out' practical training. Catherine continued her studies in Architecture at Dundee and graduated with BArch (Hons) in 2002. She has spent the intervening years working in practise in Northern Ireland completing her studies through Queens University Belfast where she achieved RIBA Part 3 in 2004 and the right to use the title 'Architect'. Since 2006 Catherine has been working for Samuel Stevenson & Sons in Belfast. The practice have a long history and a strong reputation within the education sector including recent projects at Victoria College.